Maybe you use food film in your own kitchen. You know, the very thin, clear plastic stuff that you can stretch, often used to cover food and protect it from the air. It’s become so widely used that it’s now an essential item for pros. They even have a verb for it in French: “filmer”: to wrap or protect with this famous stretchy film. An indispensable aid in a professional kitchen, it’s also very useful for amateurs like us. If we need to put something in the fridge, such as leftovers, it’s very convenient to cover it with film first. So let’s imagine that you have a portion of shepherd’s pie left (for example), still in its serving dish, and you want to keep it in the fridge for later in the week. You leave it to cool completely, just as you should, then cover with film and pop it in the fridge. 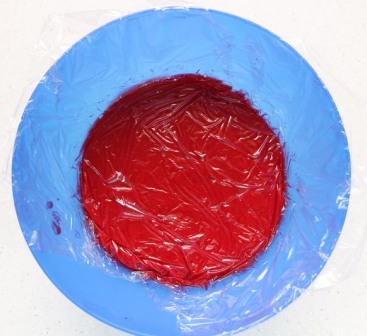 Naturally, you will cover the dish by stretching the film across the top, pull it down tight over the edges to seal it, then into the fridge it goes – quite normal. But this method, though it does work after a fashion, is not very effective – and that’s what this post is all about. When we wrap or cover something with film, the idea is to seal it off from the air to reduce oxidation (of fresh produce) or stop it drying out (cooked food). 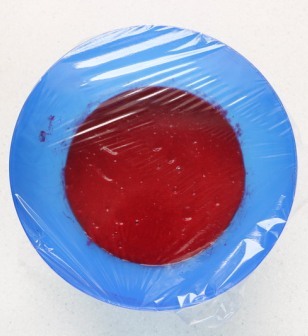 If the film is simply stretched over the top of the container, some air (even if only a little) will be trapped inside with the food and the protection is not very efficient. Here’s the trick: to protect food effectively with film, it is better to have the film in direct contact with the food. Stretching it doesn’t help; on the contrary. Pressing the loose film onto the food isolates it completely from the air. Let’s look again at the shepherd’s pie example: you should lay the film over the top, of course, then make sure it follows the “cut” edge down, over the shape left by the serving spoon, to protect this exposed part. Here is an illustration showing a strawberry coulis. This tends to oxidise rapidly if prepared in advance. The photo on the left show the “traditional” way to cover; the one on the right shows the film in direct contact with the coulis which, protected like this, will keep both its red colour and all its flavour. 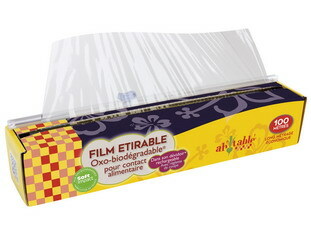 To sum up: To protect food with plastic film, it is best to have the film in direct contact with the food.